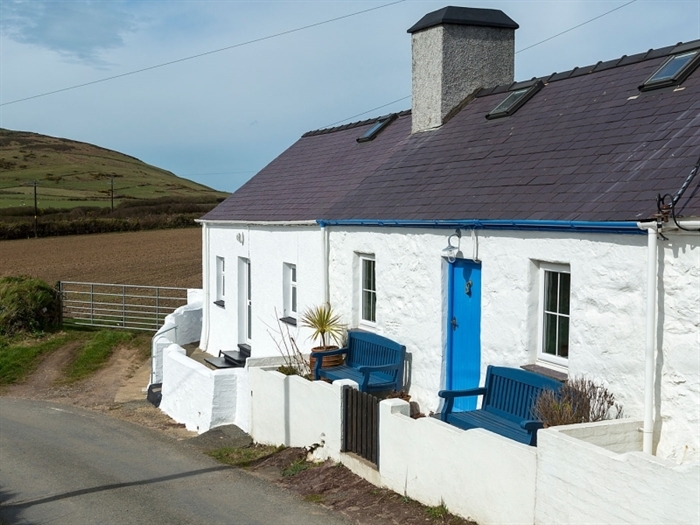 2 Bryn Chwilog is a self catering holiday cottage one and a half miles above Aberdaron in Uwchmynydd on the road to Mynydd Mawr. 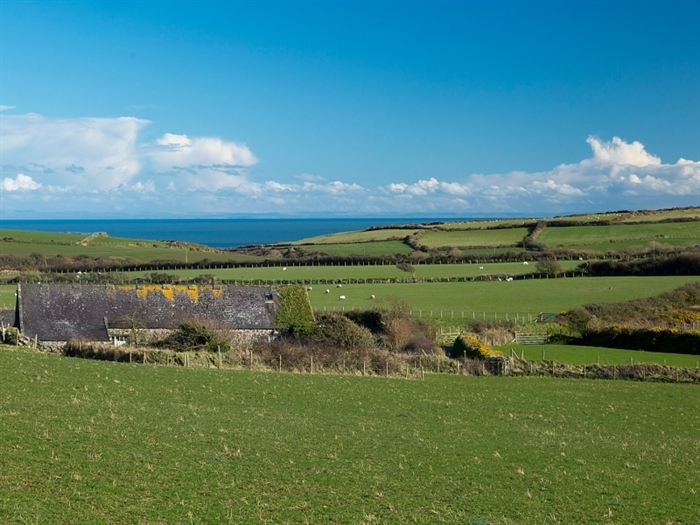 Step out of your front door, relax and sit on a bench; drink in the patchwork of undulating green fields, the land dipping to reveal the sea sparkling in the distance. 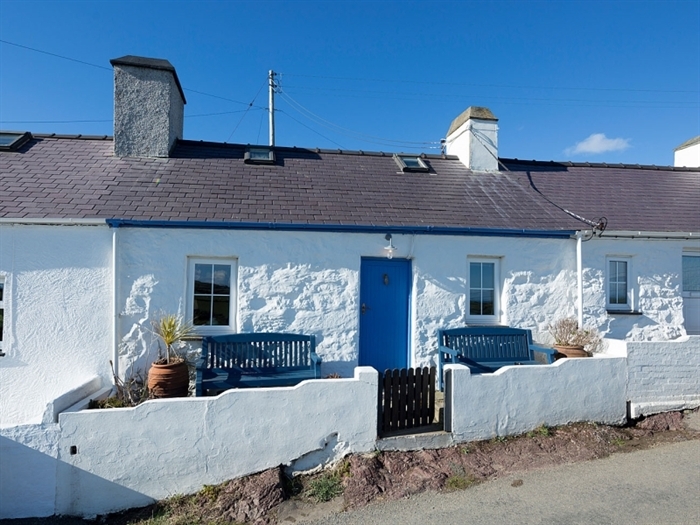 The cottage lies on the North Wales coastal path, at the tip of the Llyn Peninsula, and is a great place to escape. The land used by the cottage is beyond the car parking area on the hill behind: near our our Lodge; approximately 100yds walk. This land is a great place to light a barbecue, put up a deck chair, read a book, and later in the evening watch the sun go down. 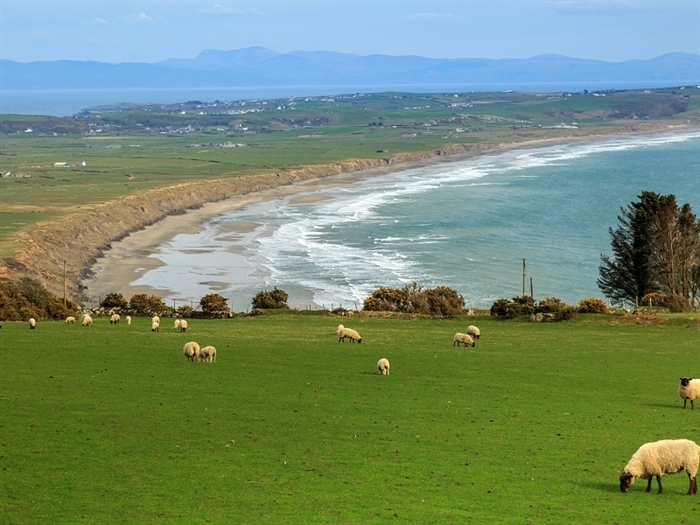 On a clear night you can see over the Irish Sea to the Wicklow Hills, just south of Dublin. 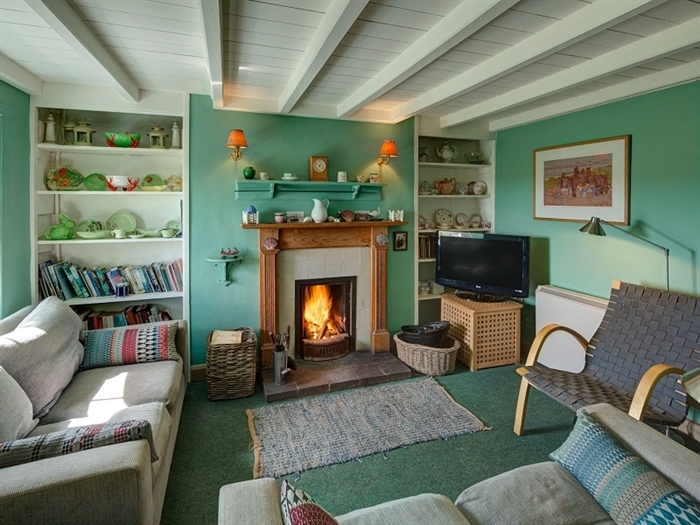 The cottage includes 2 bedrooms, one ground floor bathroom with shower over the bath, the Kitchen and a spacious living room / dining room with an open coal fire. Minimum two Nights stay. PRICED to include all utilities including coal. NEW We now Provide BED linen and TOWELS. 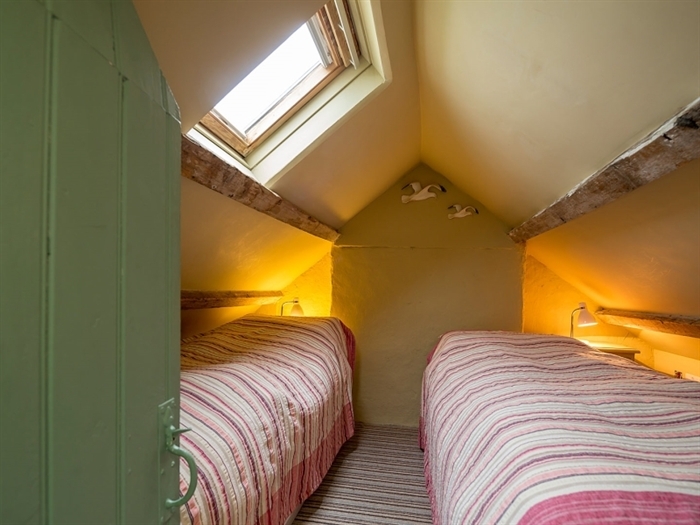 Please make us aware whether you woukd like Double or single beds. Thank you. PLEASE NOTE: Check in is 4pm, Check out is 11am, if you wish to arrive before then please contact us to discuss availability. Parking is available by our lodge on the hill behind the cottage. 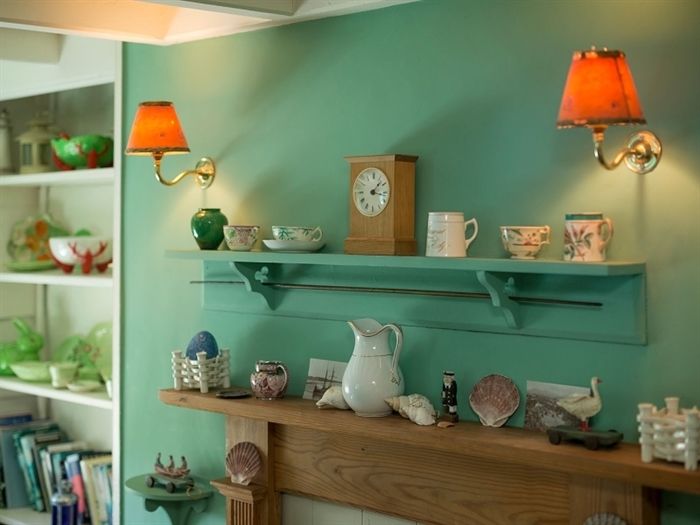 We also offer additional accommodation.